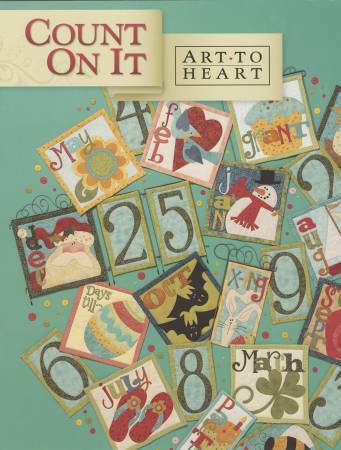 Features year round calendar quilts & count-downs to theholidays and birthdays, and some other goodies too. Thehand dyed buttons (#B543ATHB) & the specialty buttons &stick pins (#ATH9281G) to complete all projects. UsesPrint n' Fuse Inkjet Fusible Sheets.